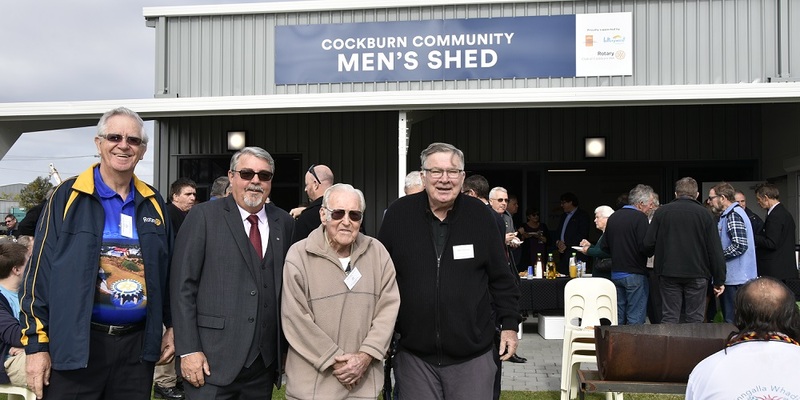 The Opening Ceremony of our new Mens Shed was held on Wednesday 13th June with around seventy five people in attendance. Following a “Welcome to Country” from the indigenous community, the gathering was addressed by a number of dignitaries including our patron Mayor Logan Howlett, and Chairman Peter Hodgson. Light refreshments followed, and all agreed the day was a resounding success. A big note of thanks goes out to Jill Zumach and Julie McDonald from the City of Cockburn whose efforts ensured the day went off without a hitch.